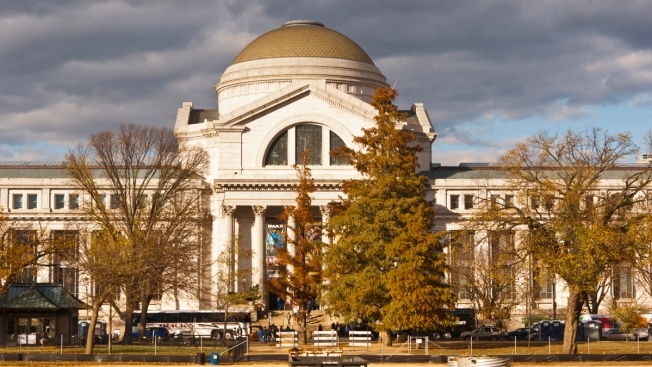 A file photo of the National Museum of American History in Washington, D.C. The chief executive of the California Historical Society has been named the new director of the Smithsonian's National Museum of American History. Hartig, 54, will oversee 262 employees and a $50 million budget, as well as open three exhibitions that are part of the Smithsonian American Women's History Initiative, #BecauseOfHerStory. She will also complete the revitalization of the museum's 120,000-square-foot west wing with new arts and culture exhibitions, including "Entertaining America," set to open in 2021. She will work with the Smithsonian Latino Center to open the Molina Family Latino Gallery in 2021, which will feature bilingual exhibits exploring Latinx heritage in the United States. "I hope to bring a strong sense of inclusivity and access to all the great work of the Museum," Hartig told CNBC Make It. Smithsonian described Hartig as a public historian, professor, author and city planner. She led the California Historical Society for seven years and before that was director of the Western Region, National Trust for Historic Preservation. Hartig currently serves as the cultural resources specialist on the California State Park and Recreation Commission. Before that, she was a history professor at La Sierra University in Riverside, Calif., and a municipal preservation planner. "I am so honored to be the first woman director...it is fitting that my appointment comes at time when as a nation we will celebrate the 100th anniversary of the 19th Amendment in 2020, and remember the incredible efforts and sacrifices of women activist to gain their constitutional right to vote," Hartig said. "Moreover, as an historian, gender is one of the critical lenses of inquiry and understanding about our pasts." Hartig earned a master's degree and doctorate in history at the University of California at Riverside. "Anthea's record as a leader and coalition builder, as well as a student and champion of history, combine to make her an ideal choice to lead one of our most revered museums," said David Skorton, Secretary of the Smithsonian, in a statement. "As we turn the page on a new chapter of the National Museum of American History, we are fortunate to welcome a director whose bold leadership is perfectly suited for the time in which we live and the museum's increasingly inclusive and innovative programming," he said.